Are you looking for the most affordable car servicing Poole has to offer? At S and H Motors, we provide cost-effective and reliable servicing that is a fraction of the cost of main dealers. As the Italian car specialists, we are the best place for your Alfa Romeo or Fiat, but we also have a wealth of experience in all makes and models of vehicle. 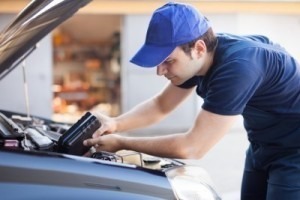 If it is that time of the year where your vehicle requires a service, don’t put it off. Many people assume that an MOT is enough to ensure their car is roadworthy, however, servicing can pick up things that an MOT may not. At S and H Motors, we aim to provide car servicing in Poole that will enhance the overall performance of your vehicle. Our Poole car servicing team provide a comprehensive service that will look closely at every element of your car to provide care and advice on how to prolong the lifespan of your vehicle. It is recommended that you have your car serviced every 12 months, and our car servicing Poole team are able to offer an affordable and hassle-free service for any make or model of vehicle. The Poole care servicing team at S and H Motors don’t stop there either. They will conduct further more in-depth checks to parts such as spark plugs, fuel, oil and air filters and your oil will be changed where necessary. Once all of this has been checked over, our car servicing Poole team will be able to give you tailored advice on how to keep your car running smoothly. What makes us different to other Poole car servicing companies is that we have some of the best high-tech equipment on site to help us assess the condition of your vehicle. Our diagnostics system makes our car servicing Poole team equipped to tackle the changing mechanical trends and keeps us up-to-date with the range of electronic components in your vehicle. Having this equipment gives us an advantage over other Poole car servicing companies because it is the most sophisticated approach to fault detection and it works incredibly well on all makes and models of vehicle. When you need your car servicing in Poole, you can be confident at S and H Motors that you are getting a thorough report of your vehicle and how it is running. S and H Motors also have a specialist Fiat and Alfa Romeo in-house examiner, which is designed to run diagnostics on these Italian cars to the highest standards. If you are the owner of one of these vehicles, our car servicing Poole team are the leading experts in the area and your car will be in the best hands for a service. All of our diagnostic car servicing in Poole is half the cost of main dealers, so there is no excuse to not give your car the care it deserves with our car servicing Poole deals. We believe that servicing is an extremely important part of maintaining your car which is why we offer affordable Poole car servicing that doesn’t break the bank and doesn’t cut corners. If our car servicing Poole team find any issues with your vehicle then you can rest assured you are in the perfect place for cost-effective and efficient repairs. We endeavour to give you a full report of your car once your car serving in Poole is complete. If any concerns have been flagged, we will discuss these with you along with your options for repair so that you can make a well-informed decision on the best course of action for you. The car servicing Poole team understand car repairs sound daunting, but we will always give you the best solutions to suit your needs and budget. The list is endless, so whatever your concern, bring your vehicle to our car servicing Poole workshop and we will happily have a look for you. We aim to provide exceptional customer service which is why when you bring your car into S and H Motors, you will receive FREE brake inspections, a courtesy car and any work we carry out comes with a 12-month guarantee. With over 30 years of experience in working on all makes and models of vehicle, we are passionate about providing reliable car servicing in Poole. Our team of experts are fully-qualified and aim to provide the best value for money in the area. Much of our car servicing Poole trade comes from recommendations from our customers. We are proud to have built a reputation for reliability and trust for our car servicing in Poole, so if you’d like to see what some of our previous and returning customers have to say, view our testimonials. Our car servicing Poole team are flexible and accommodating, and we won’t confuse you with jargon. Each of our engineers for car servicing in Poole will tell you all the information you need and are happy to answer any questions you may have about your vehicle. We care about your safety, so don’t ever think your concern is silly or uncalled for; S and H Motors will be able to put your mind at rest with a thorough Poole car servicing appointment. If you’re still not sure if our car servicing in Poole is right for you, have a chat with one of our team who will be able to give you a quote for our servicing, MOT, or repairs service. For the best car servicing Poole has to offer, get in touch with S and H Motors today. Call us on 01202 680660 or email us at shmotors@btconnect.com.